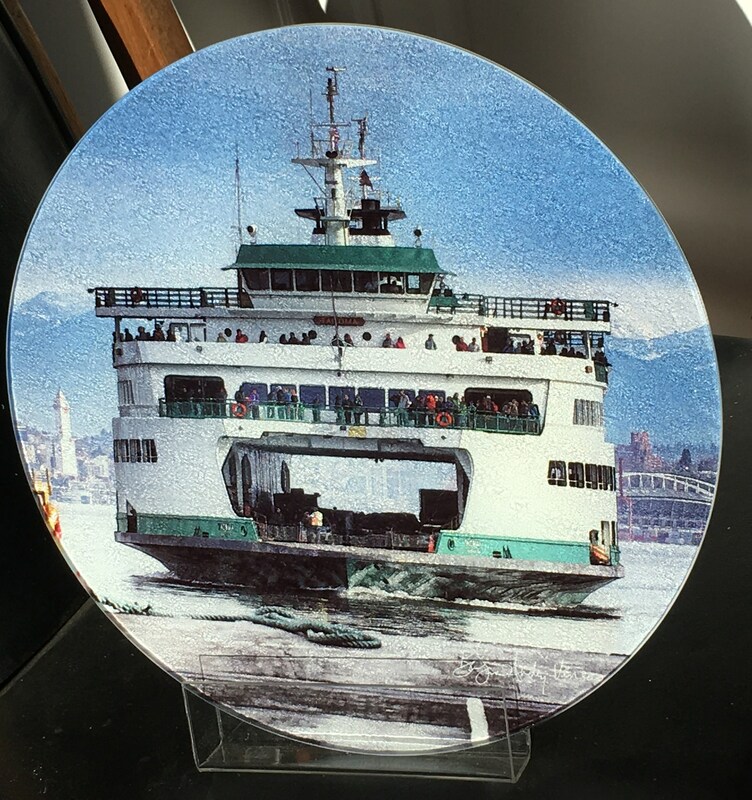 I took this shot of the Washington State Ferry 'MV Tacoma' from the Bainbridge Island dock. 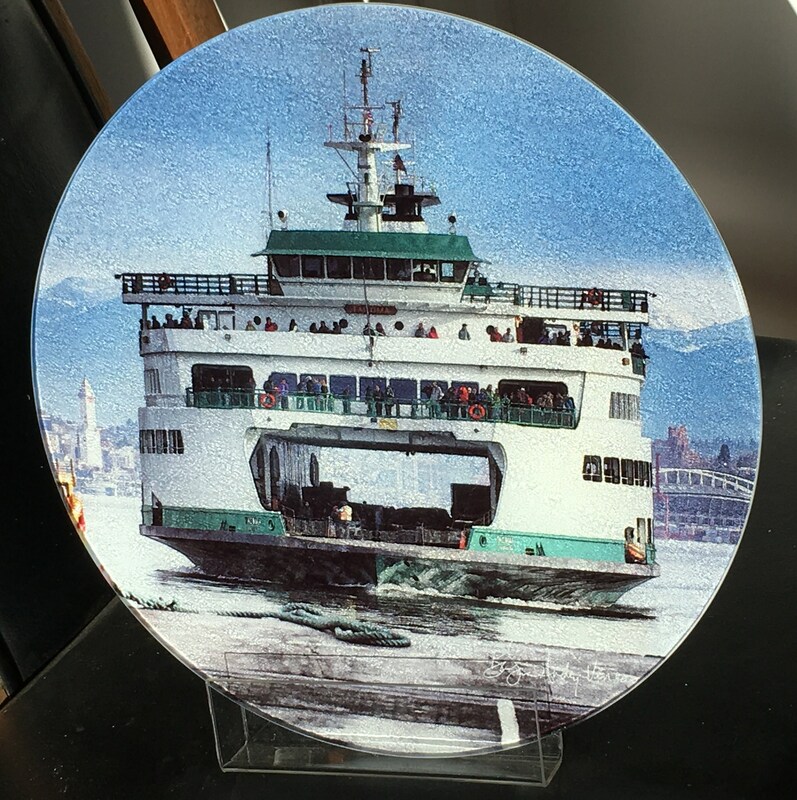 Through and behind the boat you can see Seattle and the Cascade Mountain Range. 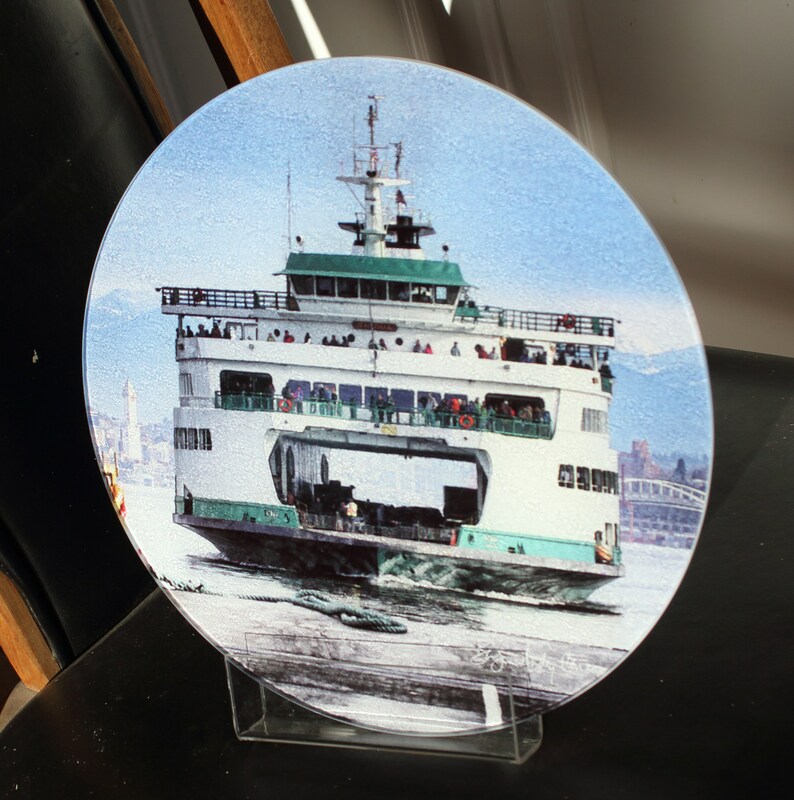 From Wikipedia "The MV Tacoma is a Jumbo Mark II Class ferry operated by Washington State Ferries. 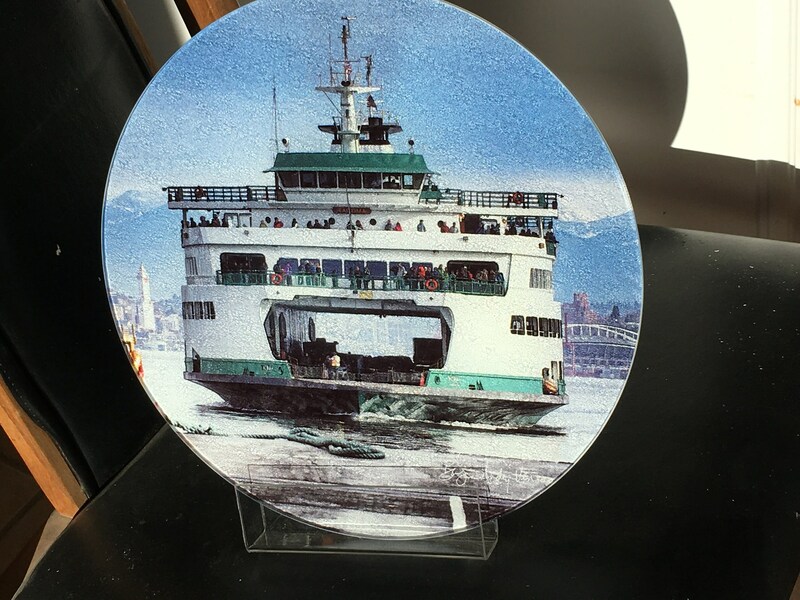 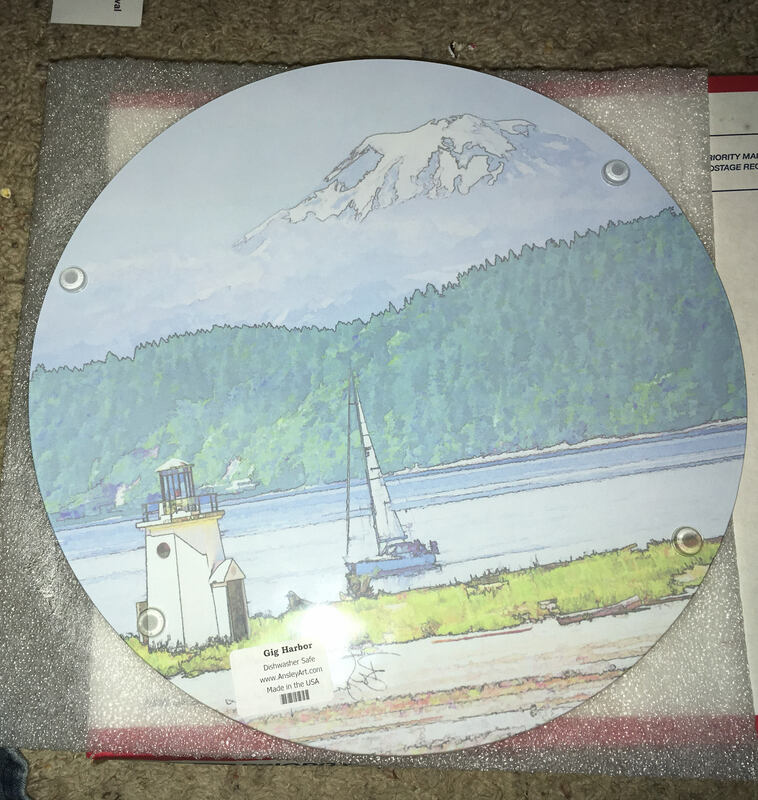 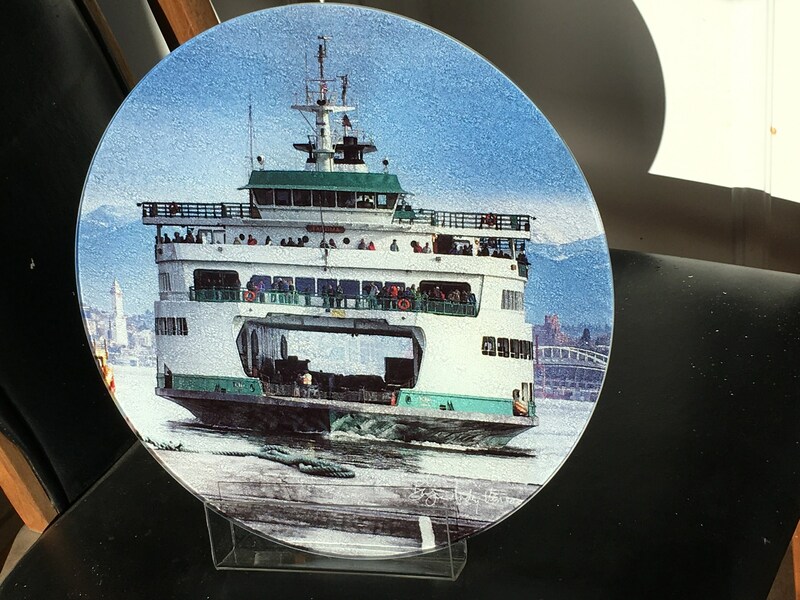 Launched in 1997, it was the first in its class in the Washington State Ferries fleet. Since delivery, the Tacoma has almost exclusively been assigned to the Seattle-Bainbridge Island route. "